A graphic of what appears to be the Powerbeats Pro in iOS 12.2. 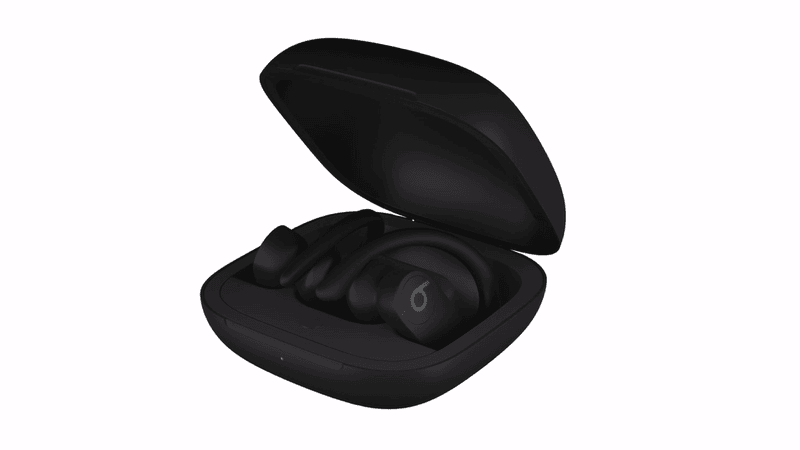 9to5Mac reported on Monday that it has dug up imagery hidden in the freshly released iOS 12.2 update of what appears to be a new version of Apple’s Beats Powerbeats headphones, dubbed Powerbeats Pro, that really are wireless. It also seems to have once again teased its AirPower charging mat on packaging for second-generation AirPod charging cases. Powerbeats, manufactured by Apple subsidiary Beats, are a more fitness-friendly (and expensive) variation of Apple’s AirPods with a battery life of up to 12 hours and a more customizable fit. The ones already on the market are joined by a wire and charge via USB; the images dug up by 9to5Mac appear to show that the Pro has been updated to ditch the connecting wire and use a charging case, just like AirPods. In terms of form factor, they look much like the old Powerbeats, just with a slicker, more angular design. Speaking of those AirPods 2, some customers have already been receiving them—and the packaging for its Wireless Charging Case appears to show a diagram of the unreleased AirPower wireless charging mat. That device, slated to be able to charge AirPods, Apple Watches, and iPhones simultaneously, has also been teased in iPhone XS packaging and on the Apple website. MacRumors has another shot of the case with the AirPower diagram on it, so this does appear to be legit! AirPower was first announced in 2017 but has been repeatedly delayed, with competitors releasing their own versions in the meantime. A report in the Wall Street Journal earlier this month stated that Apple “approved production” of AirPower this year, and rumors have been circulating that it will be released in the coming weeks or months. That said, Apple has reportedly been bedeviled with technical issues on the device (the biggest of which was heat management), so take the above with a grain of salt. It’s possible that the packaging is a publicity ploy for a product that is still far away, or simply that Apple approved the charging case’s packaging before they decided the idea just wouldn’t work. If you want a hard answer, ask this friendly ghost.